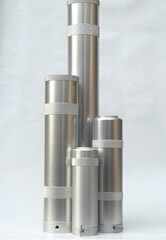 Midland Diving manufacture a range of high pressure breathing air filtration systems which exceed the highest standards, using high quality anodised aluminium and designed for ease of operation and maintenence. 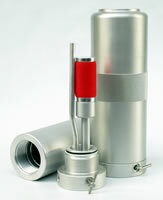 Whether you require a complete system or a Nitrox final stage, our range of units offer reliable, tailored solutions. Our Series 45 and 50 Coalescing Separators offer easier maintenence and higher efficiency than conventional mechanical separators, extending chemical purification cartridge life by up to 15%. Complete systems including a separator, single or twin filters, valves, pipework and mounting bracket can be built to order, for any flow rate from 2.37 to 23.7 litres/second.